What a way to start Excellence Week! 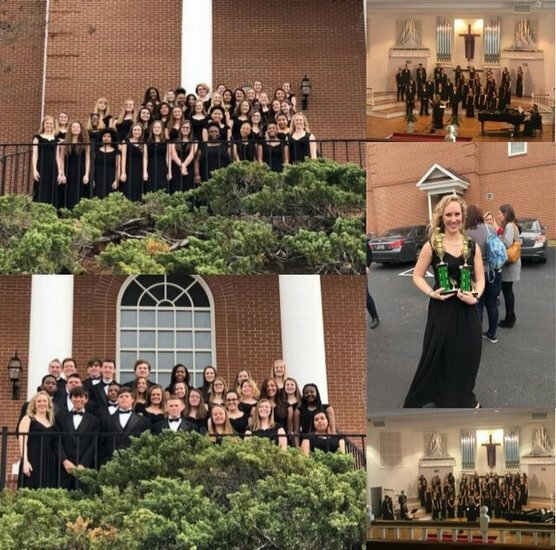 Both of the Mid-Carolina Choirs received an overall Excellent rating at State Assessment! Bel Canto women’s choir sang Hope is the Thing With Feathers by Susan LaBarr and Kuimba! By Victor C. Johnson. Chamber Choir sang O Love, by Elaine Hagenberg and Festival Sanctus by John Leavitt. This is the first time Bel Canto has attended a Concert Assessment and the second time for Chamber Choir. Both groups have improved immensely and receiving an Excellent rating is HUGE!! !